The Fianna were founded by one of the great leaders of the Tuatha Dé Danann: Fionn mac Cumhaill. 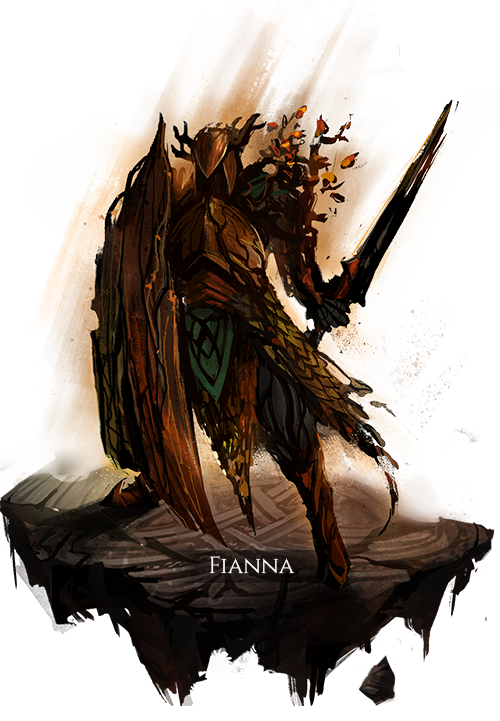 This class has a very special ability, the Diord Fionn (Fionn’s war-cry), which they can use before and during battles. The mottos of this class are “Purity of our hearts, Strength of our limbs, and Deeds to match our words.” Between their war-cry and additional movement speed, they are glad to wear less heavy armor than many of their counterparts. Purity of our hearts, Strength of our limbs, and Deeds to match our words. Fire damage mitigation from armor is greatly reduced. Fire effects suffered by user add a physical debuff, preventing health regeneration for a brief duration. Health of damaged body parts regenerates at a rate based on armor class for each body part. Counterattacks have their preparation and recovery times greatly reduced. A surprise attack with low activation time, dealing high disruption damage. A powerful call that grants short-duration effects to the user. These effects gain bonus power based on the number of group members nearby. Gain a physical buff which increases Health, Blood, and Stamina regeneration for a brief duration, based on the amount of each missing. Gain a physical buff that tracks the amount of total incoming damage before mitigation for a brief period of time, and then applies a physical buff that acts as a personal health barrier based on that amount for a moderate duration. Inflicts a physical debuff on the target that greatly reduces their vision for a brief duration. Spears rain down from the sky, striking nearby enemy targets for high piercing damage.